Whether you go to ActiveSG, The Pit, or any gym for this matter, there will always be that one guy who heads to the weight rack directly and skips out on his warm-up. People like to do this, for some reason, but the importance of warming up cannot be stressed enough. From reducing muscles soreness, injury prevention, muscle and mind preparation, and etc., you simply should not skip your warm-ups. Having a proper warm-up translates to better blood circulation all around the body. This also promotes better blood flow in and out of muscle tissues, particularly for the ones that will be active during a workout. Warming up also improves the delivery of oxygen through the blood, especially if you’re doing light cardio exercises. This facilitates better blood flow and the cleaning out of toxins left in the muscles. This probably summarizes it all. The biggest reason why warming up is always recommended is because of injury prevention. When you’re all warmed up, it reduces the risk of you pulling a muscle. Imagine a situation where you skipped your warm up. On that day is your arm day, but because you didn’t warm up you suddenly tear your bicep mid-workout. As a result, you won’t be able to return to the gym for a while. You’ve now wasted time recovering instead of making gains. A common mistake people make is that they assume that stretching in place can be considered a warm-up. This is actually bad because stretching a “cold” muscle will cause its microfibers to tear, hindering your performance and weakening the muscle in the long run. Static stretching is better as a post-workout routine to reduce muscle soreness. Essentially, it’s called a warm-up because you’re “warming up” the muscles before putting pressure on them. So if your lifting weights, of course you’re not going to lift heavy during your warm-up set. Start slowly from a lighter weight and gradually increase it during your warm up. By the time you get to your workout sets, your muscles will be ready. The warm-up is also a time to practice your form and work on your mobility. As far as muscles are concerned, you can only get a good flex and stretch if your joints are able to hit the maximum range of motion. You won’t be able to achieve that if your joints are still stiff. Not only will this help you with flexible joints and limbs, but it also reduces the risk of injury, which really is the objective here. If there’s one piece that doesn’t get as much attention but is more important to completing any outfit than what it lets on, look no further than the humble sock. Socks are included in outfits because they’re more than just for looking good. In fact, the sweat from your feet damages footwear and is responsible for an off-putting smell that nearly everyone has encountered at least once in their life. This makes socks really useful for keeping your shoes and feet dry. •	Thin/fine socks don’t go with athletic shoes. •	They must match each other and have no holes. If you find neither of these to be the case for you, ditch them and find another pair. •	They should fit your foot well. 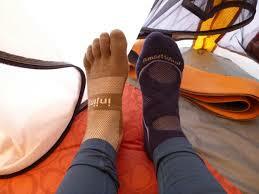 •	They should cushion the feet and keep your skin from rubbing against the interior of your shoe. •	If you’re not sure what color to pick for your outfit, you can’t go wrong with black. 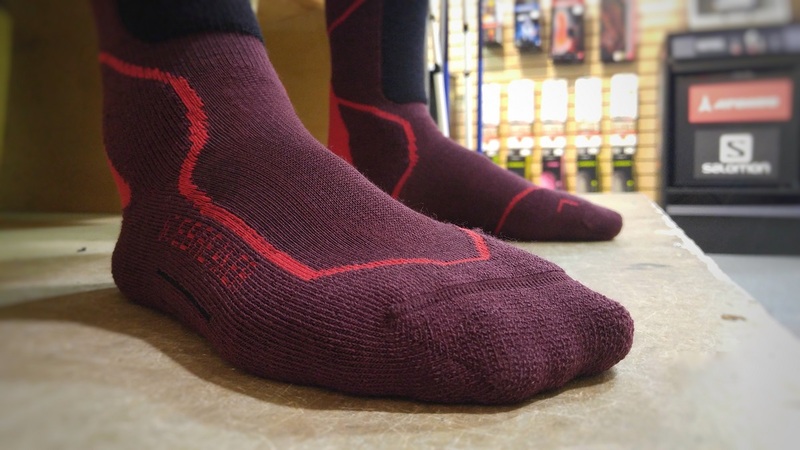 If you’re confused about the different lengths and cuts for socks, they’re designed that way because they’re suited for different types of footwear. •	No-show/Liner/Ped – This sock length allows you to hide your socks under the shoe or show just a little bit beneath the ankle. •	Quarter – Designed for covering the ankle bone, and only up to your ankle bone. •	Crew – Extends beyond your ankle up to where the largest part of your calf starts. •	Executive/Over-the-Calf – Extends beyond the calf, but not over the knee. 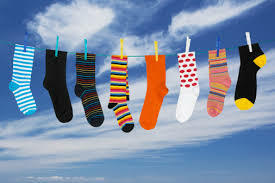 Just as there are different lengths, there are also different types of socks suited for different occasions. While standard black, navy, and grey are always safe options, even white socks can look great depending on where you’re going. •	Plain/Dress socks – Pairing them with formal shoes and a formal outfit will make you look sharp and give you a more sophisticated overall appearance. •	Textured socks – Textured socks give your outfit a little more edge, but they go best with trousers that are either a shade lighter or darker. •	Statement socks – This type of sock has made a comeback more recently, so their brighter colors should be paired only with boots or smart shoes and trousers that cover up a decent length. These are just a few styling guidelines to how you can make your socks work for you. Keep an open mind to the possibilities of how you can mix and match your outfits, and you will have more choices to go on. Hit up the trail and go on the vacation or adventure of a lifetime with the right pack that keeps everything you need in one piece! 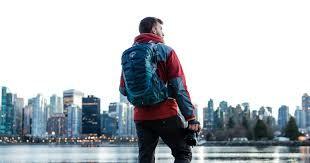 Read on to find out all about finding the right backpack for your next venture to the great outdoors. Not all backpacks are the right size or the right fit for you, so you can’t just go about choosing any pack – your first criteria for choosing the right one is size and fit. You can find the right size by asking a friend to measure the length of your torso, which extends from the nape of your neck to the top of your hips. Use this as a baseline for finding the right one for you. You can also customize the fit by adjusting the hip-belt or pulling back on your straps. For any final tweaks, you can pull any additional stabilizer straps on either side in order to secure the weight to your back. If you’re planning to go on a hike or a long vacation, be sure to buy a backpack with an internal frame. 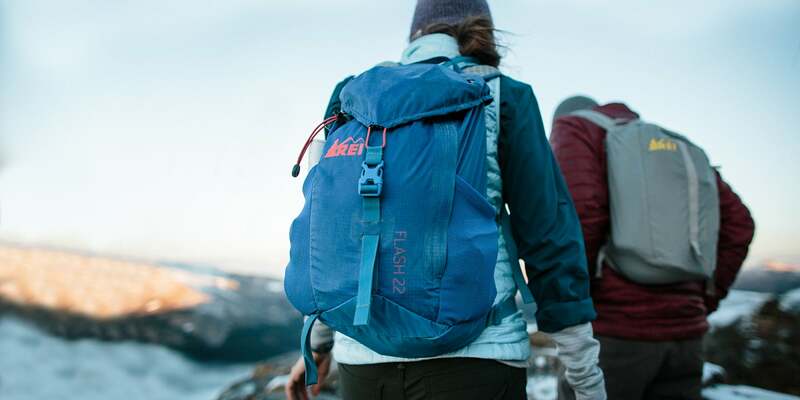 These are the types of backpacks that are designed not just to keep you stable on rugged terrain, but also include load support that transfers the weight to your hips instead of just your back. 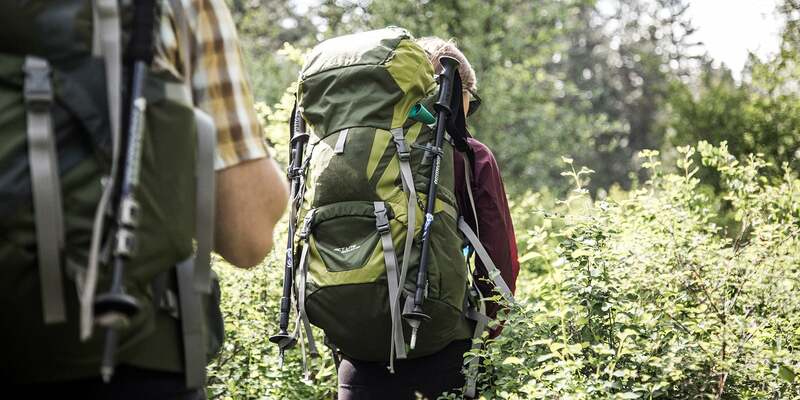 Aside from comfort and durability, carrying capacity is also a factor that you need to keep in mind, especially if you need to carry more of your essentials and spare clothes. •	Water-resistance – Many packs are now designed to be water resistant or outright waterproof, which is great for rainy weather. They are also slightly lighter than other types of backpacks. •	Lockable zippers – Lockable zippers are great for added security, and are less likely to pop open when you happen to be carrying a lot. •	Multiple compartments – More compartments are always a good thing – if you need to hold any additional gear that you need to use regularly, you can place them in pockets for easier access. •	Added padding – Padding gives you more support and comfort especially when the weight of your backpack is pushing down on your shoulders. •	Breathability – It can be difficult to avoid a sweaty back, but you can do so by buying a backpack with a suspended mesh panel. 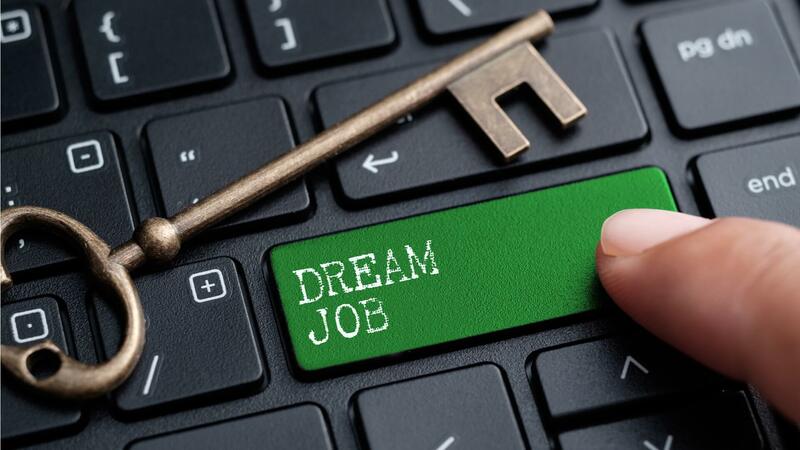 In order to successfully land your dream job, you need to learn to improve the things you can see—such as the way you dress, your resume, personability—and the things you can’t see—like being a go-getter, self-value, etc. 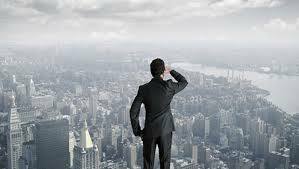 While this may sound a lot, they are actually small life changes that can lead you to finding the job you’ve always dreamed to have. What are these little changes we’re talking about? Read on to find out. Determine your fashion style, improve and stick to it. Whether you aim for an eclectic mix of vintage and high-street fashion or a fun mix of smart and casual, sport it and make it work. If your office calls for an opportunity to get dressed, take advantage of it. Standout from everyone else by looking professional and stylish at the same time. First impressions are important—and that you need to be ready every single day, because you just don’t know who you might bump into. But we’re not just talking about the looks here. This also means making sure that your social media looks appropriate, as most employers nowadays go online to background check a candidate. You may have the highest degree and graduated with flying colors, but in the midst of today’s competitive industries, those credentials may not be enough. 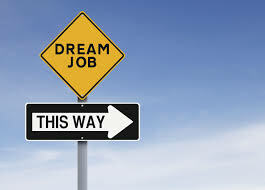 If you are trying to land a job you really wanted, explore the industry and get to know more people. Do you have friends working in the industry you want to work in? Invite that friend for a coffee and ask them to bring two more people you can meet. People always try to cram too much information in their CV. What they don’t know is that the best ones are brief and concise—a single page of A4 size paper is enough, or a maximum of two pages if there’s more relevant content (not just any fluff). 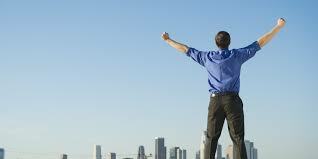 For anyone who is no longer happy with their current job, follow your gut and take the risk. No guts, no glory. You may be afraid to fail and how people might react. But really, there’s no such thing as failure if you’ve gained new experience, especially if it leads you to your dream job. Being approachable and friendly goes a long way. It makes it easier to work as a team and makes a huge difference in lightening up the office vibes. Also, people are drawn into you if you give off that positive attitude, so offering yourself to help or voicing out useful suggestions is a good way to earn people’s trust. Stay positive and manage your expectations. It may take a little while, but it will surely be worth the effort and the wait.